Day 3 of my portrait a day challenge. 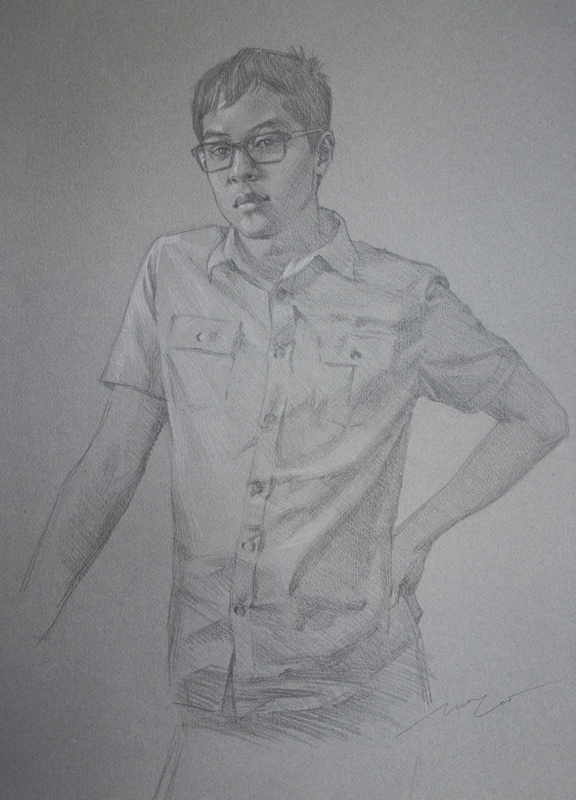 The difficulty with drawing my nephew Khang is he looks like an adult yet he’s only 14! I spent quite a long time on this as I found it difficult getting the likeness right with such a small drawing, on grainy paper. The hand hes leaning on is obstructed in the image I was working from… I think I’m going to continue working on this one.